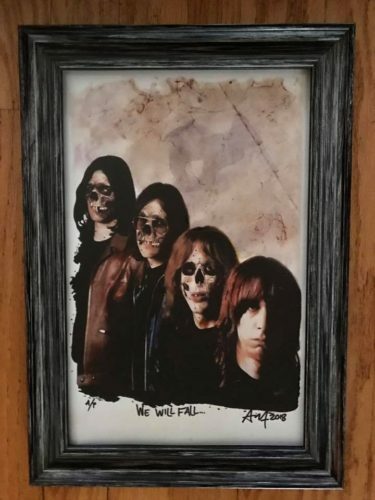 IGGY POP & THE STOOGES – Limited Edition 11″ x 17″ Skull Print by Adam Turkel 2018 – Signed print – Stunning! Part of Adam’ ongoing skull series, this portrait of Iggy and his fallen Stooges is killer! A great addition to any rock n’ roll art collection.